QUEENSLAND rugby league royalty turned out at the Ipswich Turf Club on Friday for the Swich On Inc football luncheon. Over the last four years Swich On has run multiple events in Ipswich and raised $250,000 for local beneficiaries and men’s health organisations. The 180 tickets for Friday’s event sold out in under 48 hours with a huge amount of prizes raffled off on the day to raise money for the rugby league mental health initiative, Turn To Me. 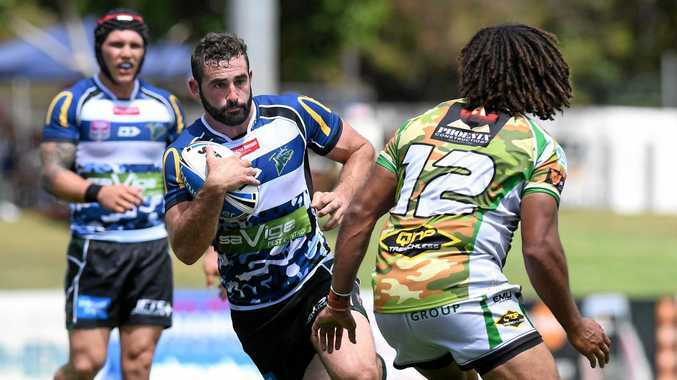 Event organiser Matt Gnech was delighted by the quick response from supporters and hoped to raise $10,000 from raffle and auction proceeds alone. “We tend to maximise capacity in most venues in Ipswich now which is really good,” he said. “The particular focus of Swich On is to raise awareness and funds for men’s mental health and men’s health issues. “As much as it is about raising those funds to donate to beneficiaries it is also about breaking down those barriers associated with talking about mental health. 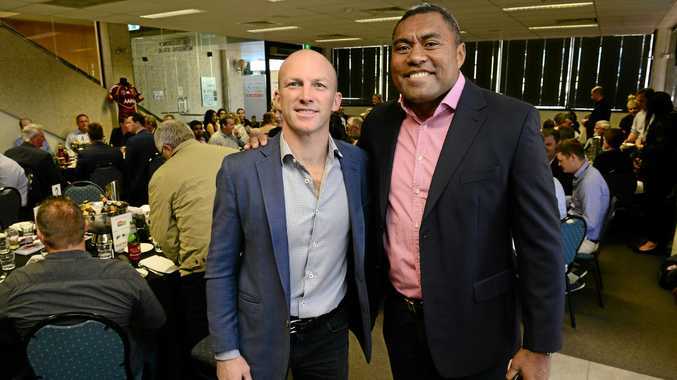 With special guests Darren Lockyer, Gary Belcher and the face of Turn To Me, Petero Civoniceva all attending the event, Gnech was hopeful that the sports stars high profiles would help to get the message of men’s health out to a wider audience. “I think it’s extremely important,” he said. “Ultimately it’s a social position that has to change and I think if we’ve got these people who are seen as leaders in our society and Australian culture, particularly sports stars, for them to acknowledge ‘hey look I support this and and I’ve had issues myself or needed help’ then again it breaks down that barrier of that Superman status. Swich On are already preparing for their biggest event of the year, The Swich On Inc Gala Ball which is held in October. This will be followed by the an end of year Christmas Party, which will see more than 250 attendees once again descend on the Ipswich Turf Club in December.